Chicken is an all-time favorite dish. There are so many ways to cook and enjoy chicken. 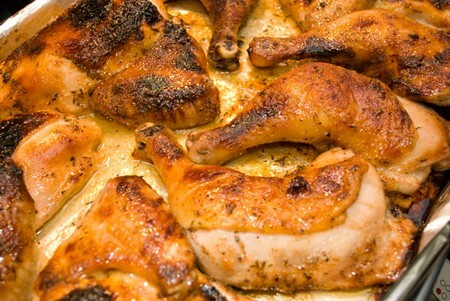 Here is how you can cook chicken several different ways. Read on to find out more information. Season the entire bird. Rub the outside skin of the bird with your seasoning. You can place the stuffing inside the bird as well. Some people even inject the bird with their special blends of seasoning. Put the entire chicken in to baking pan. Add water to help the chicken retain the moisture. Boil the bones from the chicken to make a stew or even soup. Take the bones from the pot. Remove any meat. Pour some broth over top of the chicken pulled off the bone. Throw the bones away. Now, put in some noodles, spices and vegetable to your homemade chicken noodle soup. You can thicken the soup with some flour if you would rather make a stew out of it. Leftover chicken works well with this recipe. Stuff the chicken. Use cheese, stuffing or garlic to season the bird. Use a sharp knife to slice the chicken breast half open and put all the ingredients inside this pocket. Close the breast up before cooking. You can also stuff the chicken by using the skin as a pocket. Cook the chicken in a pan or skillet until evenly done. Purchase separate chicken pieces. Season the thighs, wings and legs. 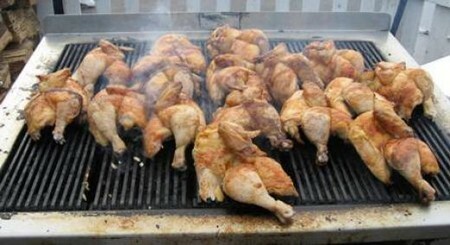 You can grill them and use barbecue sauce to add to the flavor of the bird. You can even place them in the oven until done. Purchase boneless, skinless chicken breasts. Marinate them overnight. Season them and cover them in seran wrap. Now, barbecue them on the grill. You can even do a whole chicken this way. Use a barbecue spit for a juicy and crispy result. Use a seasoned batter made from flour to cover your chicken with. Dredge in egg and batter. Then, deep fry the chicken in a pot of cooking oil. Remove the chicken once done. Drain on a paper towel. Pour over a sweet and sour sauce and place over a bed of jasmine rice. Use a hot wok and oil to stir fry the chicken. Dice the chicken into sections. Pour in some oil and vegetables. Fry them all together. Add a sauce or even curry to give it a kick. Serve with noodles or rice for a traditional Asian flare. Enjoy your chicken either way you decide to prepare it!